The avocado is the primary ingredient in the popular Mexican dish guacamole, and you may frequently add it to salads and sandwiches as well. Usually, just the pulp of the avocado is used in food preparation. But the seed, or pit, of the avocado is rich in nutrition and it has a long history of medicinal use in traditional culture. You can grind an avocado seed in a high-powered blender or food processor for use in smoothies and other foods. While human studies are still necessary to confirm this benefit, tests in rats and mice indicate that compounds in the avocado seed have anti-tumor properties. According to the "Encyclopedia of Common Natural Ingredients Used in Food, Drugs, and Cosmetics," avocado seeds possess a condensed flavonol that is responsible for this property. Avocados are among a group of fruits that provide strong antioxidant benefits from their seeds. A 2003 study at the National University of Singapore concluded that avocado seed, among other fruit seeds including mango, tamarind and jackfruit, have an even greater level of antioxidant activity than the more commonly eaten parts of the fruits. The seeds may contain more than 70% of the antioxidants found in the entire fruit. 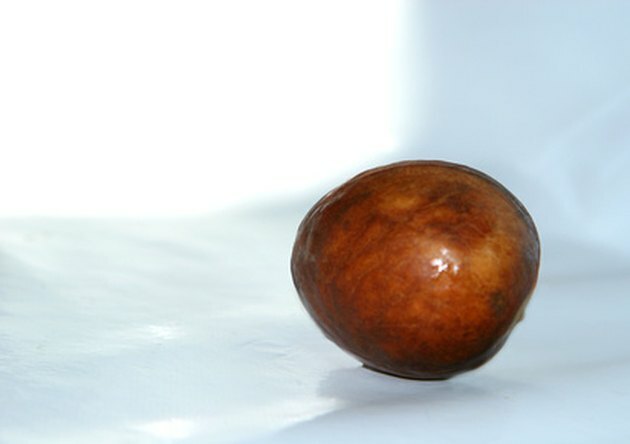 The avocado seed has an important place in traditional American Indian medicine. Dysentery is a disorder of the digestive tract that results in both colon and intestinal inflammation. It often causes diarrhea and more serious problems. American Indians used avocado seed to treat both dysentery and diarrhea. This is a possible health benefit of the seed. According to Dr. Tom Wu, N.M.D., a physician honored by both the United Nations and the American Cancer Society, the avocado seed is among the highest naturally-occurring sources of soluble fiber. This form of fiber is important to heart disease patients as it helps lower cholesterol levels. While oatmeal is one of the most significant sources of soluble fiber in a conventional diet, Dr. Wu notes that avocado seed has considerably more of this important compound. A 1951 article by the California Avocado Society indicates the avocado seed is very high in potassium. However, the level of potassium declines as the fruit matures. Thus, if you seek avocado seed for its potassium, use fruits that are not yet ripe. Significant levels of phosphorous are also present in the seed, but not as much as potassium.